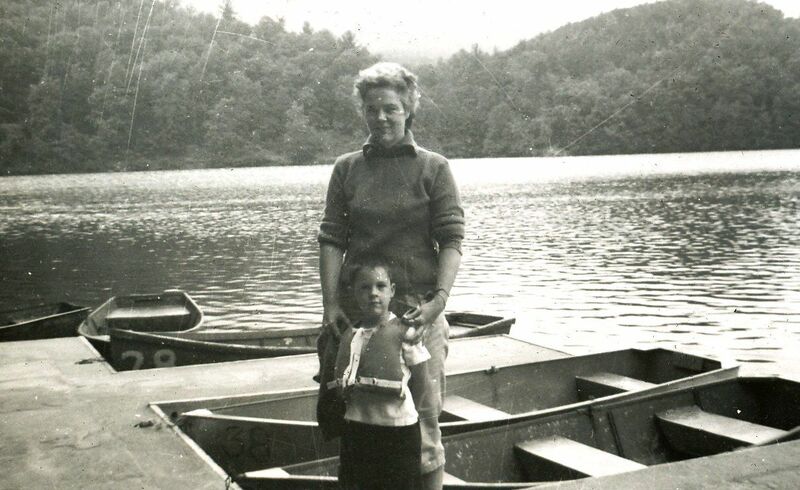 Our family first visited Douthat State Park in 1960. In fact, thanks to my father’s meticulous note-taking, I know that our first visit was on June 13th, 1960, which was also my father’s 41st birthday. 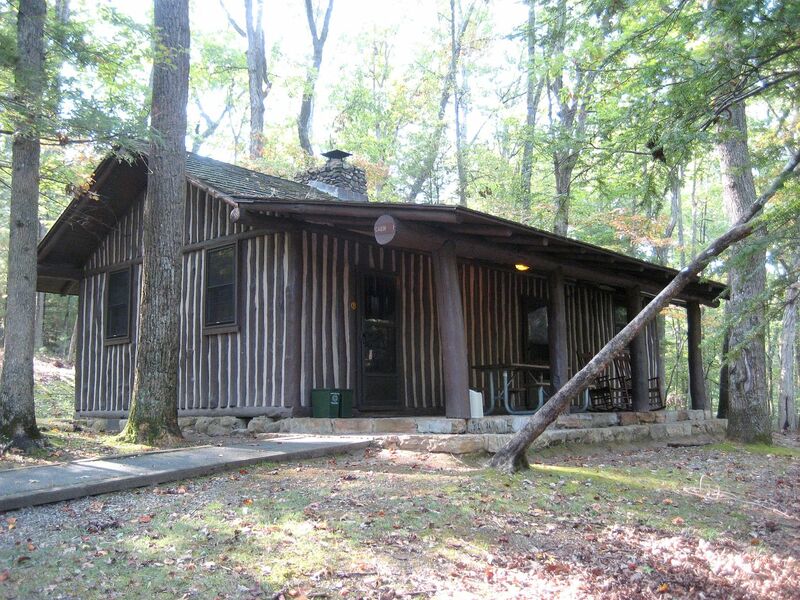 Last week, my “new” family (Hubby and I) returned to Douthat and stayed at Cabin #1, the very cabin that the Fullers stayed at throughout their annual pilgrimage in the 1960s. Our last visit was 1969, when Hurricane Camille chased us out, a couple days ahead of our scheduled departure date. Enjoy the photos - old and new. 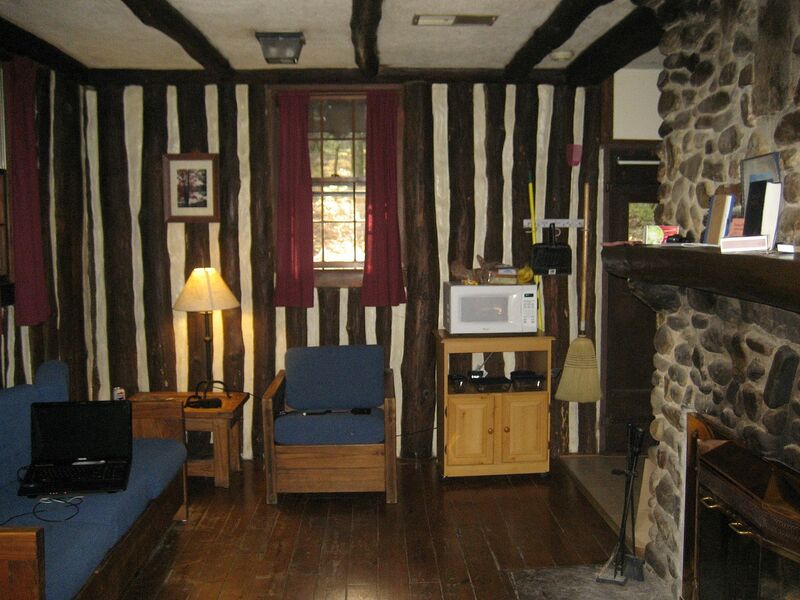 To read about the amazing collection of Sears kit homes in Clifton Forge, click here. 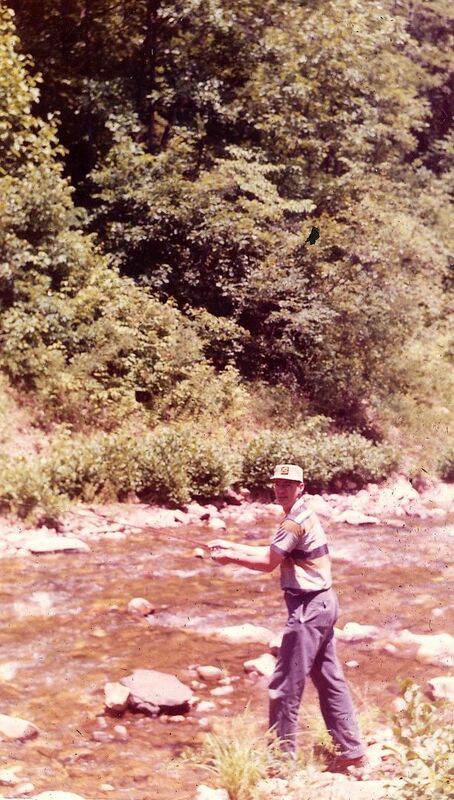 Our family first visited Douthat State Park in 1960. Here's a picture of my youngest brother with our mother, Betty Mae Brown Fuller. They're standing in front of the boat rental area by Lake Douthat. Mother was a big believer in life vests, anytime her children were within 200 yards of a body of water (June 1960). 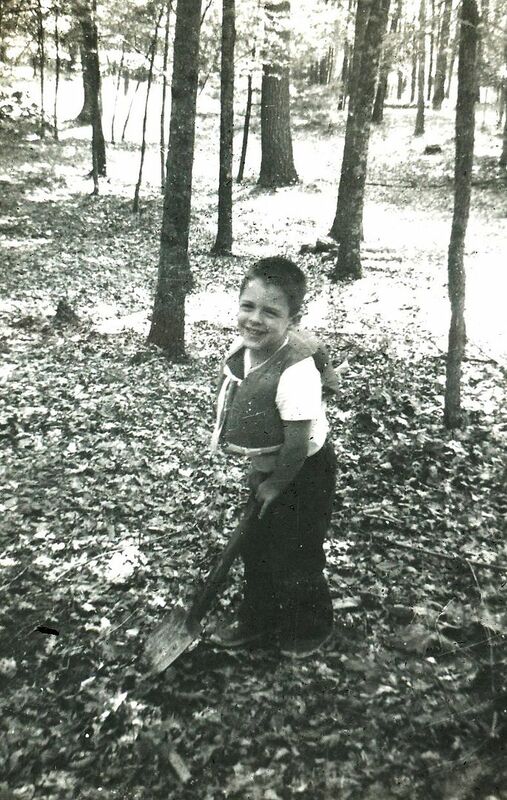 Apparently, Mother was a big believer in life vests when her children were digging for worms, too, lest he hit an undiscovered body of water hidden just below the forest floor. 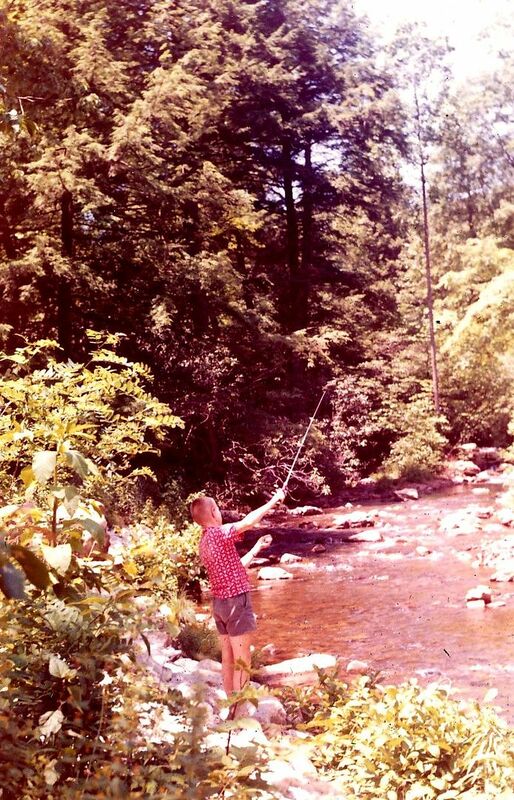 My eldest brother Tommy fishing on Smith Creek (June 1960). 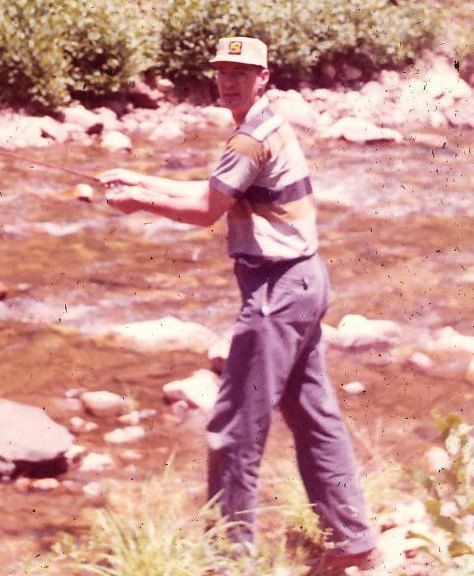 My father giving it a go on Smith Creek. Close-up of Tom Fuller (June 1960). 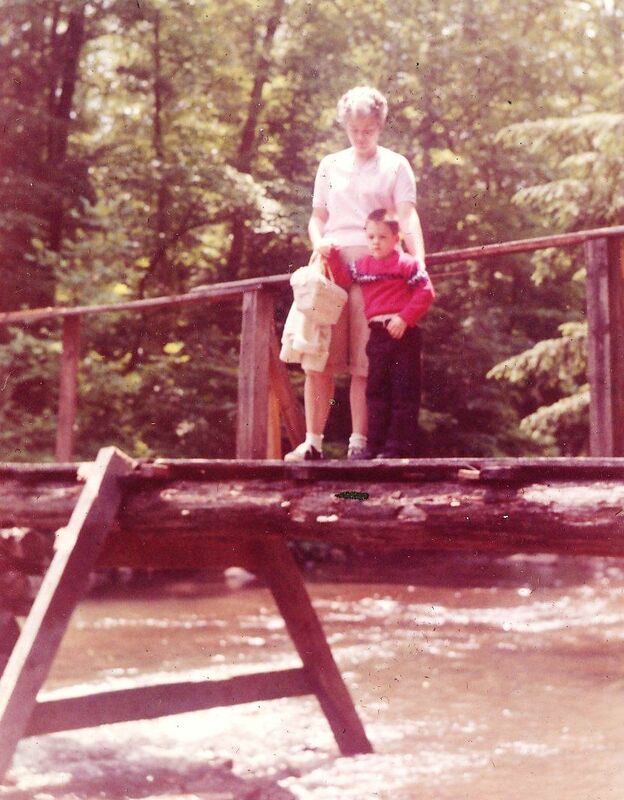 Mother and my youngest brother standing on a pretty ricket bridge over Wilson Creek. He looks pretty worried. I would be too. 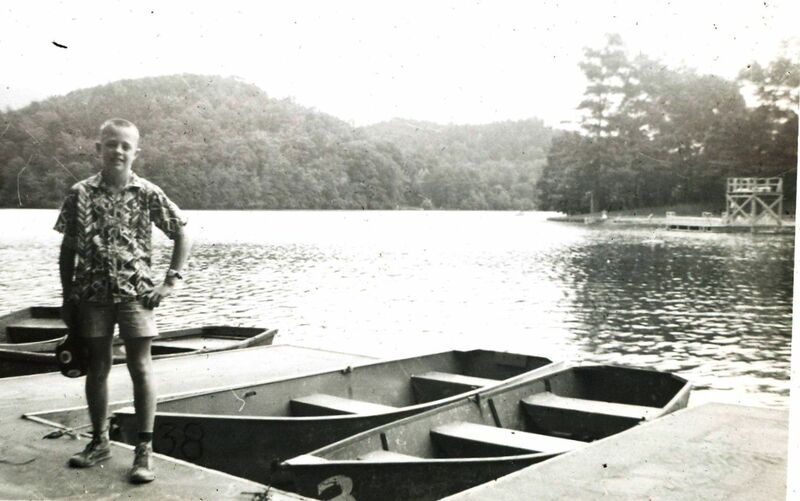 Tommy Fuller - more than 52 years ago - at the boat docks by Lake Douthat. Last week (September 2012), my husband and I visited Douthat and we stayed at Cabin #1, the very cabin where our family spent some very happy times. It was quite surreal returning to the very same cabin. The last time I was inside that cabin was 1969, and our family vacated it in a hurry when a park ranger knocked on our door in the wee hours and told us that we had to evacuate immediately, due to torrential rains and flooding from Hurricane Camille. Inside, the cabin was just as I had remembered. 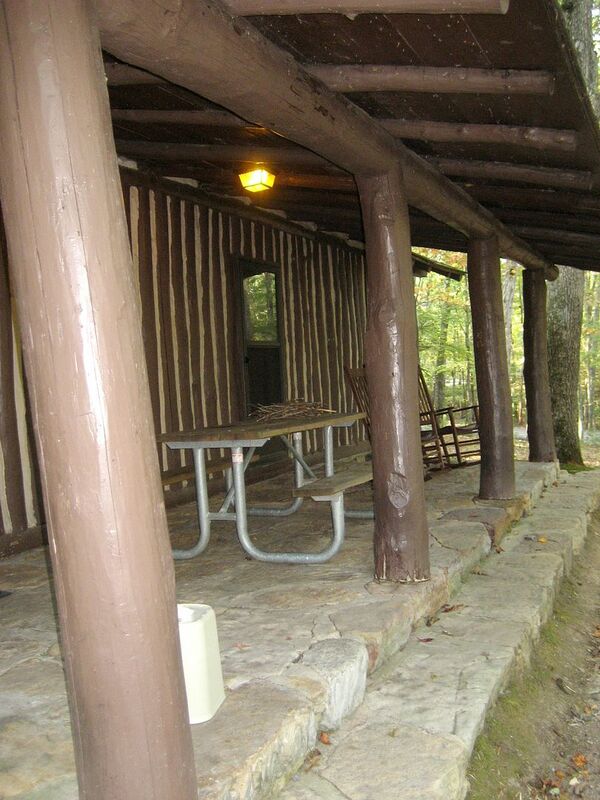 The cabins were built in the 1930s by the Civilian Conservation Corps. 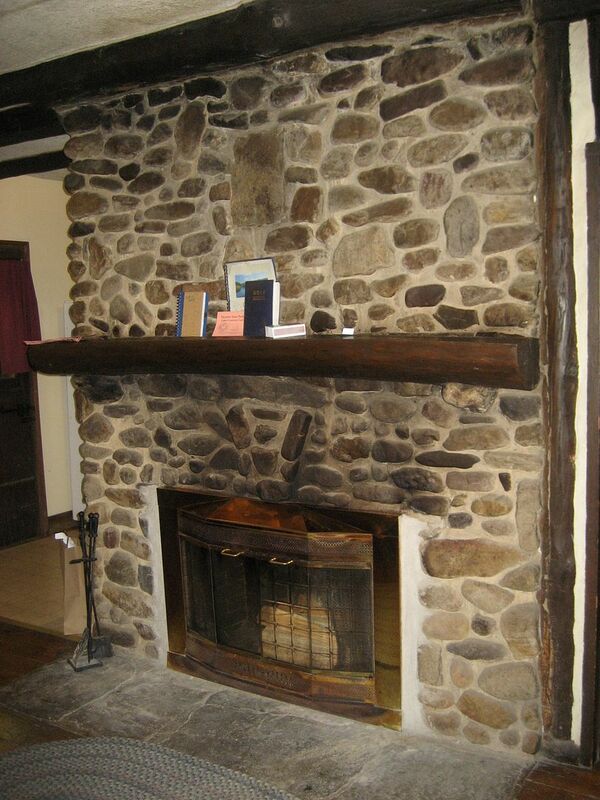 The fireplace was made from native stone from the Blue Ridge mountains. And my "parent's bedroom" was much smaller! In fact, it was teeny tiny! The porch hasn't changed much in the last 50 years. 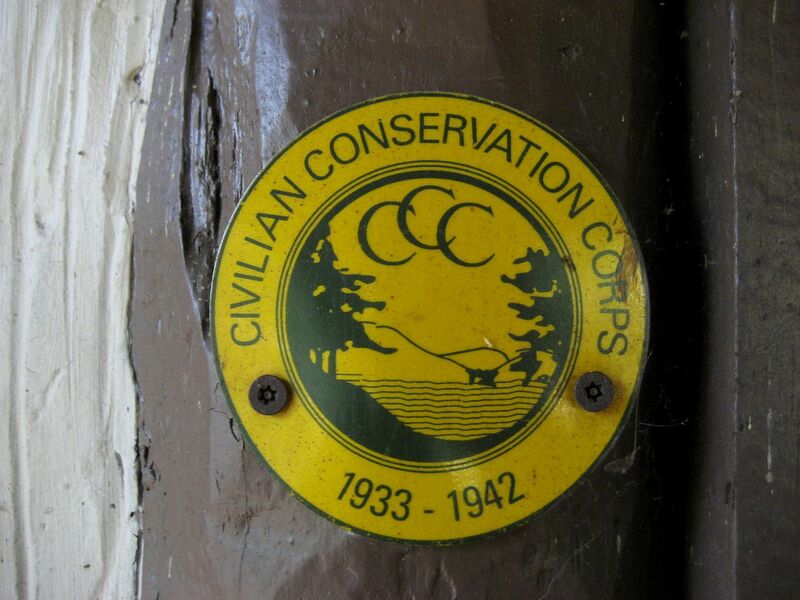 A placard by the front door commemorates the CCC. 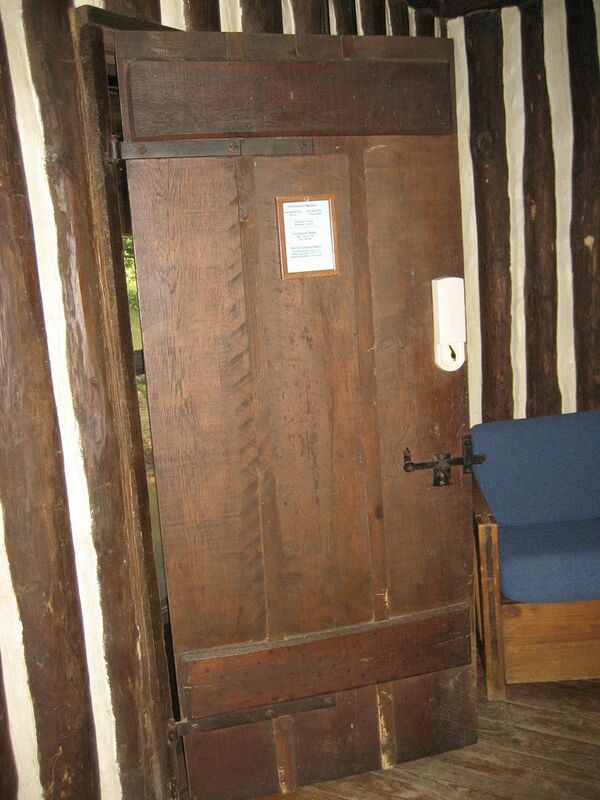 The doors and hardware are - for the most part - original to the cabin. 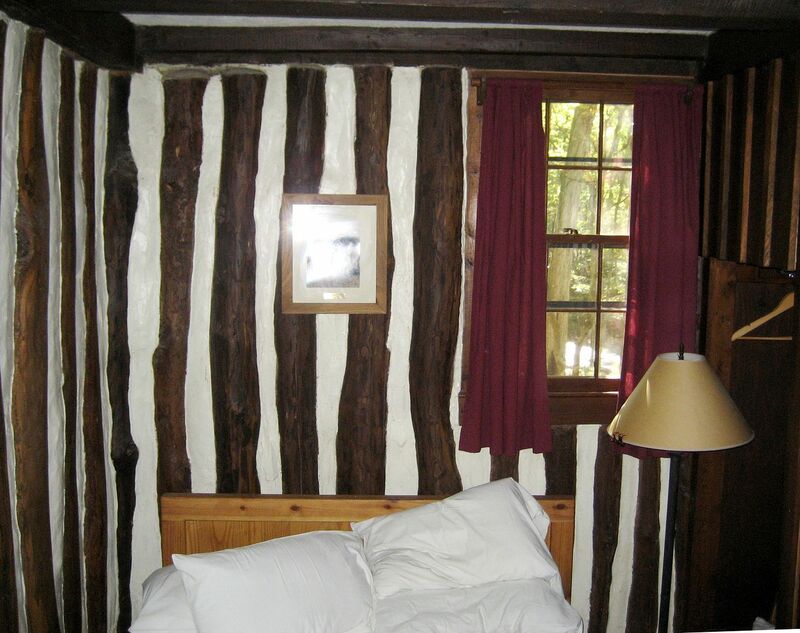 Sadly, the condition of the cabins has been deteriorating. 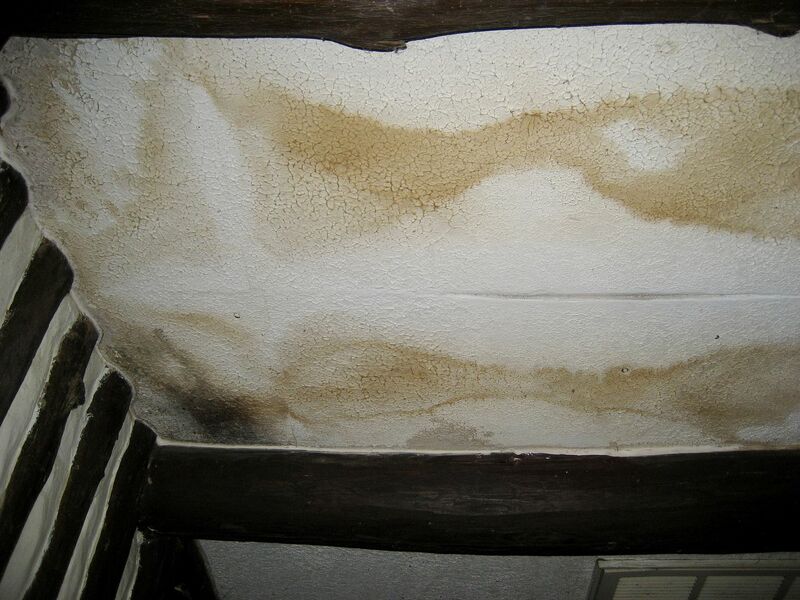 We saw roof leaks and mildew on several ceilings inside the cabin. For all the money our government wastes on overseas spending, you'd think they could throw a few thousand at this historic treasure and try and preserve it. As Norm says on "This Old House," once a house loses its boots and hat, it won't last long. During our visit, we didn't do any lake fishing, but we did go "fishing" for a good signal from the local Appleton Mountain repeater (Ham Radio). Hubby toted this stick antenna around for a bit, helping me find the "sweet spot." 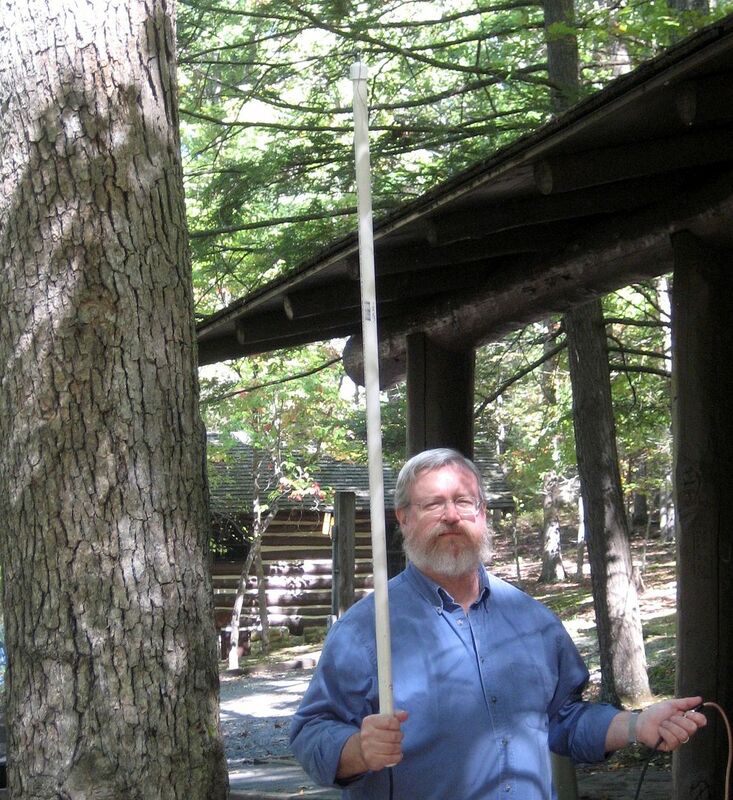 The sweet spot turned out to be about 30 feet in front of the cabin, hanging on a tree branch. There's a lot of high tech equipment in this picture. 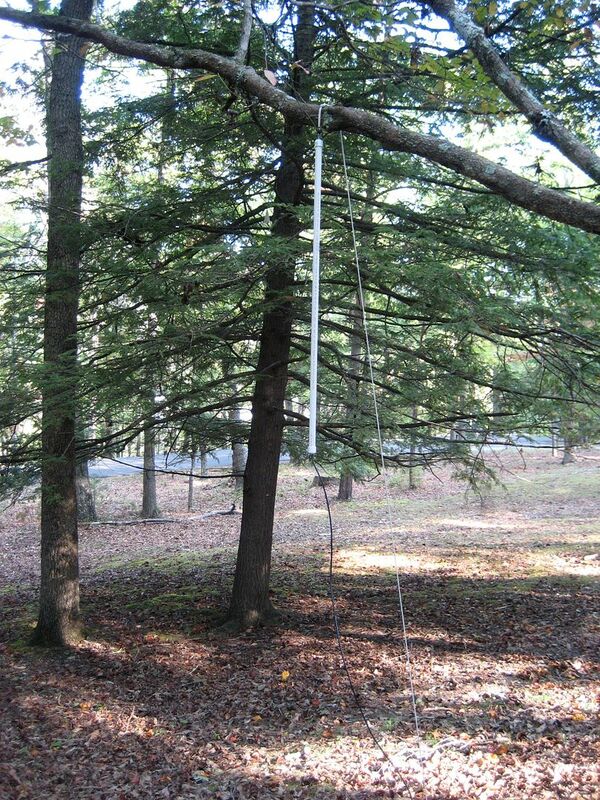 That's a stick antenna, on loan from RASON (Radio Amateur Society of Norfolk), hanging on a piece of clothesline rope, held in place by a log which served as a counter-weight. Incredibly, we got a very clear signal from the Appleton Repeater, about 60 miles away in Bedford, Virginia. I'd LOVE to know where that repeater is located! Is it atop the Peaks of Otter? 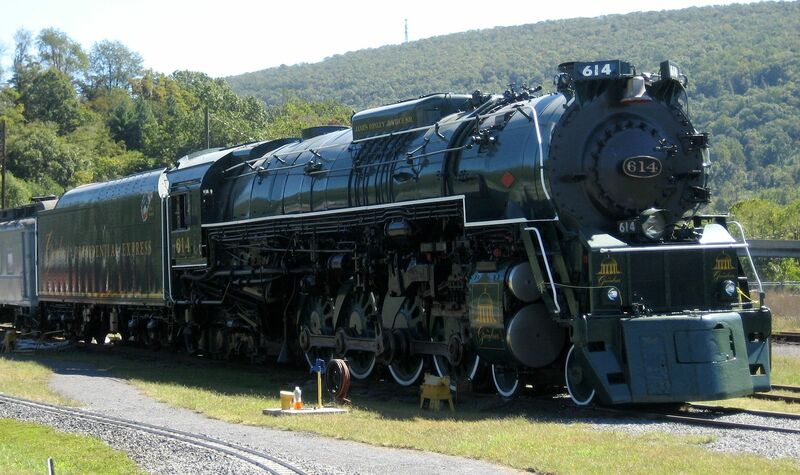 About 15 minutes from the park (in Clifton Forge), you can visit the C&O Railway Museum, and see this beautiful steam locomotive up close and personal! Byron from the C&O Railway Museum gave us a first-class tour and we relished every moment. It was a highlight of the trip. Both Hubby and I were very impressed with Byron. He was a wonderful tour guide and regaled us with countless *amazing* stories. And Hubby got to play engineer! 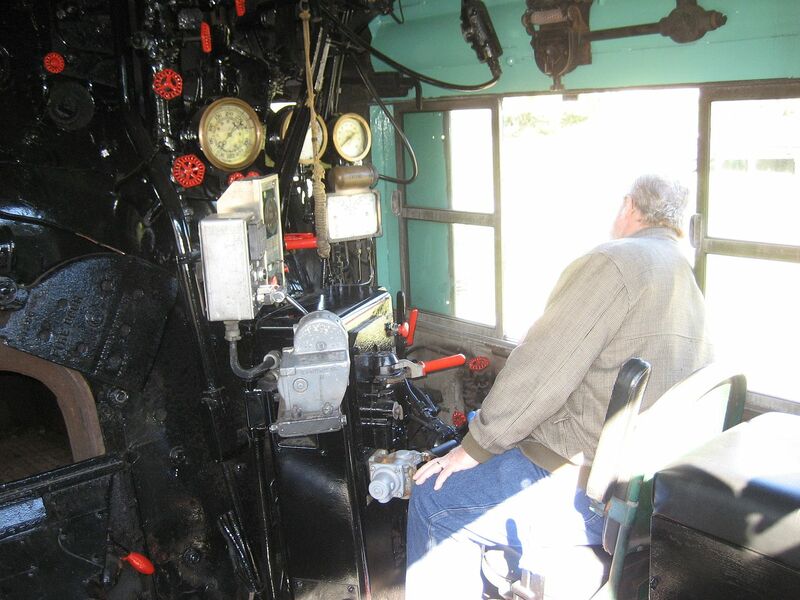 To read more about the C&O Train Museum in Clifton Forge, click here. To learn about RASON, click here. To read about those splendiferous kit homes in Clifton Forge, click here.